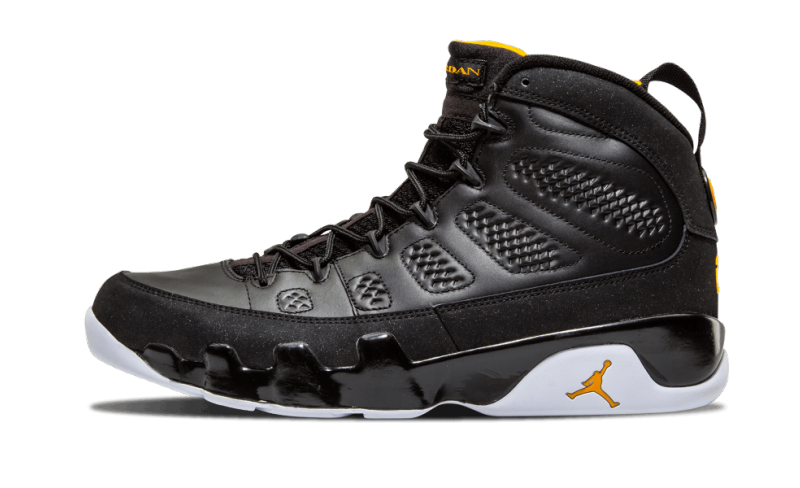 This color way of the Air Jordan 9 released in 2010 and the accents are inspired by the Citrus fruit. Sporting an all-black upper, contrasting White accents can be seen on the sole. The only other color is provided by Citrus accents on the liner as well as branding on the heel, sole, and tongue to finish up this color way.